Craft-Bamboo Racing are looking for a strong start to their Blancpain GT Series Asia GT3 and GT4 campaigns during the opening round in Sepang this weekend. Running two Porsche 911 GT3 Rs and one Porsche Cayman GT4 Clubsport MR, the team is determined to build on their inaugural Blancpain GT success from 2017 and kick the season off with a podium challenge in both classes. Sandy Stuvik and Shae Davies will oversee the #911 Porsche 911 GT3 R, while Darryl O’Young and Aidan Read will command the #991 Porsche 911 GT3 R. Frank Yu and Jean-Marc Merlin return to the #77 Porsche Cayman GT4 Clubsport MR and are intent on retaining the GT4 drivers’ championship title in 2018. Shae Davies and Sandy Stuvik present a strong combination in the #911 Porsche, with each driver bringing a select set of skills to this weekend’s two-race challenge. Australian driver, Davies, has a successful history in Porsche machinery, which he will be putting to good use as he transitions to the 911 GT3 R this weekend. While it is his first time in Sepang, the official pre-season test sessions before race one gets underway on Saturday should help him find his feet. Stuvik will be there to guide him thanks to his experience at the Sepang circuit during last year’s Blancpain GT Series Asia inaugural round. While Stuvik will have to adjust to the #911 Porsche, a very positive test session on Wednesday saw them finish firmly inside the top ten, which bodes well for coming improvements to be made before qualifying on Saturday. Darryl O’Young will be looking to build on the success that he found last year in the Porsche 911 GT3 R and with the updates that have been made to the car for 2018, O’Young will be a formidable opponent to contend with on race day. Competing in the Porsche for the third consecutive season, O’Young is unmatched in his experience and will be using this to his advantage to gain an edge over his rivals. His knowledge of the #991 Porsche will be invaluable to teammate Aidan Read as he fully gets to grips with the car, and thanks to some pre-season testing in Sepang, Read is well on his way to turning laps at race pace. While Read is only 19, he already has a full season of the Blancpain GT Series Asia to his name and it is this experience that has helped him to settle so quickly into the team and the #991 Porsche. Frank Yu and Jean-Marc Merlin are back behind the wheel of the #77 Porsche Cayman GT4 Clubsport MR and are eager to launch their title defence in Sepang. 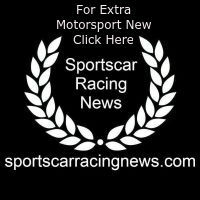 They face stiff competition this year from new manufacturer entries but have a dominant season of racing under their belts, which should prove invaluable against a fresh round of opponents. They debuted in Sepang last year with a win, followed by a second placed podium in race two. Vastly more experienced and even hungrier for victory in 2018, the pair are determined to go one better and take a clean sweep of the event this time around. With Wednesday’s official pre-season test completed, Craft-Bamboo is already in a strong position with their GT3 entries and will be working hard to further develop their performance before qualifying on Saturday. 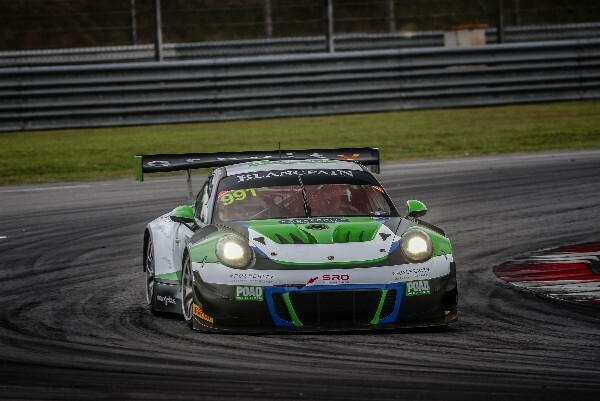 Confident that they will be able to increase the pace over the coming couple of days as the drivers continue to settle into the cars, the team is firmly focused on kicking off their GT3 and GT4 title fight this weekend in succesful fashion in Sepang.